El Greco's sixth Masterpiece Pentecost is on display in the Nieuwe Kerk in Amsterdam. The greek painter Domenikos Theotokopoulos (1541-1614) better known as El Greco is a touchstone for the global art and a forerunner of the avant-garde. He inspired many painters, like Picasso and Kadinsky and not only. Do you remember the wonderful fashion show of Laskaris in Athens? Each design was a reference to one of his paintings. It is the first time El Greco's Masterpiece is on display in the Netherlands. For almost two months the Museo del Prado in Madrid lend its gem to the Nieuwe Kerk in Amsterdam. The Nieuwe Kerk is displaying the Pentecost together with a unique reconstruction of the altar for which it originally was painted. 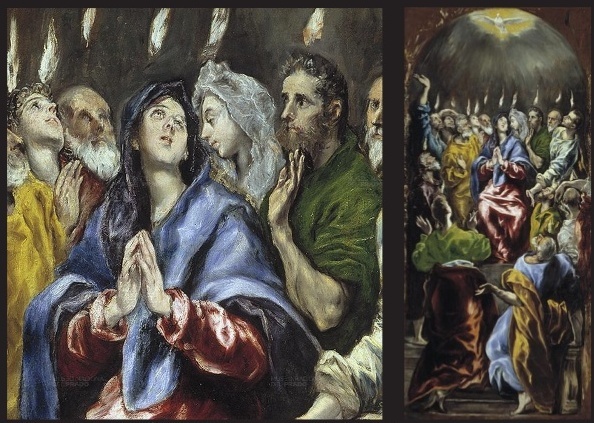 Pentecost is a perfect example of El Greco's highly personal style of painting: intense and spiritual. In Pentecost are the flames of the Holy Ghost descending on Mary and the twelve apostles painted. The masterpiece was part of an altarpiece for the church of the monastery Lady Mary of Aragon in Madrid. The altarpiece existed of 7 pieces of the life of Jesus, including the Annunciation, Baptism, Crucifixion and Resurrection. It is on display until the 9th of April 2017 so hurry to see the amazing work by El Greco with a height of almost 3 meters! 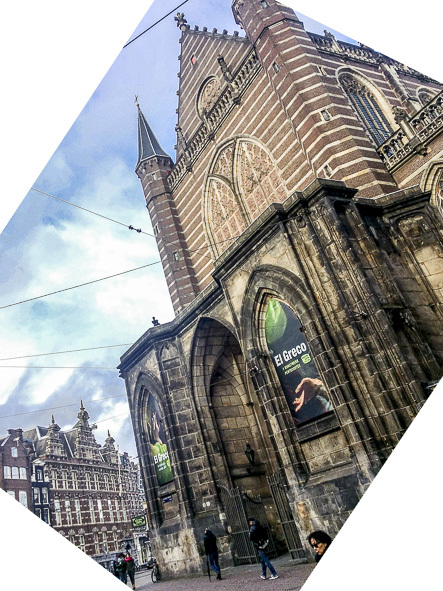 For more information visit De Nieuwe Kerk.